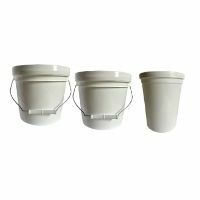 Use these buckets to mix your oils in for soapmaking, lotion making or storing items. I use the 87 ounce bucket for lotions and smaller soap batches, they fit into the microwave perfect. Remove the metal handle on the 1 gallon and it will fit into most microwaves. Use these high output pumps for dispensing your fixed oils or liquid glycerin from our 1 gallon jugs. 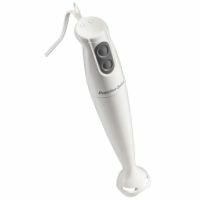 Our 150 watt stick blender is a must for blending your soap and lotions and decreasing the amount of time you spend stirring by hand. Features 2 speed, pulse-on controls, comfort grip and easy to clean. For the fashionable conscious soap maker who values your eyesight. Don\'t make soap without them! 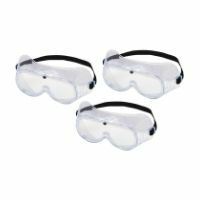 These are more comfortable than the safety soapers goggles. If you value your eyesight, Don't make soap without them! Sodium Hydroxide/ Lye must be handled by taking every safety precaution. Made of a clear polycarbonate .064 inch thick lens is optically correct for minimum distortion. 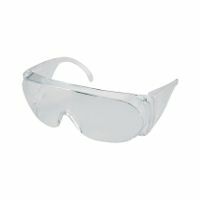 Soft vinyl frame fits facial contours comfortably, and are indirectly vented to minimize fogging. Will fit over most eye glasses. Dont break a nail, or finger for that matter. This is a must for opening buckets with safety gasket lids. We dont guarantee a certain color. Our soap cutter will make cutting your soap easy. 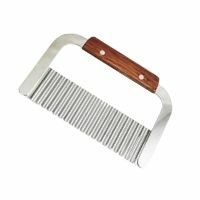 It has a wooden handle and is made of a heavy duty metal. Makes cutting your soap easy and more consistent than using a knife. Our crinkle soap cutter will make cutting your soap easy and fun. It has a wooden handle and is made of a stainless steel, measures 7\" across. Helps provide protection against chemicals. These gloves have a contour fit and come in different sizes to accommodate every persons needs. 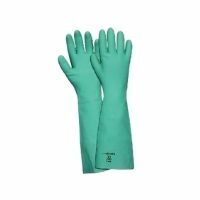 They are thicker and more durable than your regular kitchen gloves, making them ideal for cold process soap making. Work great for measuring dry colors and other miscellaneous products. Use the 1.25 cc scoop for pigments and micas. We recommend using one scoop per pound of fats in cold process soap. Eliminate unnecessary spills and waste. 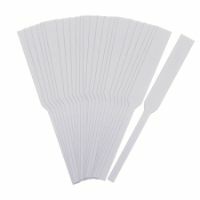 These disposable transfer pipettes are wonderful for transferring small amounts of fragrance and essential oils. 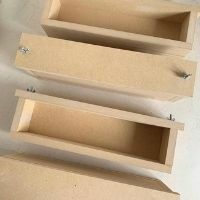 3.5 ml draw with graduated marks on side for precise measuring. Perfect to package with bath salts and tub teas. Approximately 3.5 in. long by 1-1/4 in. wide and will hold about 1-1/4 tablespoons. 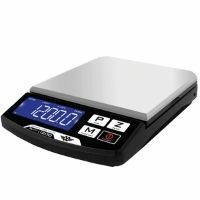 This scale comes in the color black. - digital readout in grams, oz, ozt, dwt. - 5oo gram capacity. - AC adapter and AA batteries included. - full capacity tare/zero mode. - 0.1 gram readability w/ stainless steel platform. This scale comes in black. Everything the i500 has but more than double the capacity, so soaper makers will love this one! digital readout in grams, oz, ozt, dwt. 12oo gram capacity. AC adapter and AA batteries included. full capacity tare/zero mode. 0.1 gram readability w/ stainless steel platform. 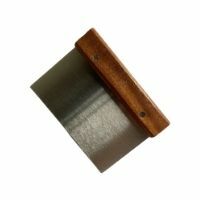 This tool will aid in creating perfectly dusted tops and mica veins. Also works great for evenly dusting powders on soap. 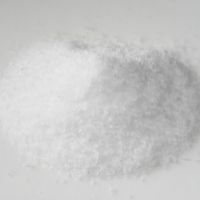 Sodium Hydroxide is used in soap making. 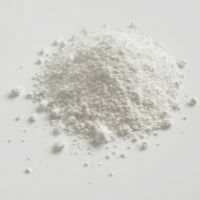 Sometimes referred to as Lye or caustic soda ash. Ours comes in a bead form. Please be sure to wear all your safety equipment, goggles, nitrile gloves, face mask, when working with this. DO NOT ADD TO CART FOR SHIPPING, this item is for pick up in store only! Our perfume testing papers will aid in testing your favorite scent blends. Dip your testing paper into your favorite fragrance oil and then wait a few minutes, and then an hour this will allow you to smell the change in your oil over a period of time. If you are blending oils we recommend using a transfer pipette to drop your oils on the testing paper so that you are not cross contaminating your different oils. 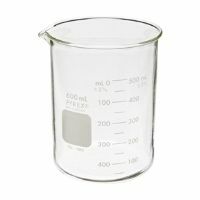 Easy Pour Mixing and Measuring Container: A convenient way to measure and mix liquids and oils. Sturdy handle and extra-long pour spout allow for precision aim when pouring or transferring liquids. Tested in temperatures up to 140 degrees. Capacity (by volume): 900ml (30.432 fluid ounces) or 3.5 cups. 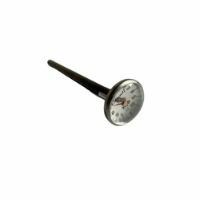 (probe type) A pocket size stainless steel thermometer, with an instant easy readable dial. Temperature range of 0 to 220 degrees F. Comes with a protective cover and a pocket clip. Microwave Safe. This is a clear, odorless oil. 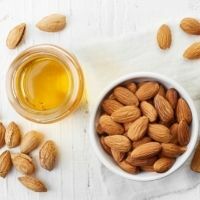 It comes from the edible almond and has been used for decades in cosmetic products. Great for moisturizing and skin softening abilities. ***Saponification value = 193 mg KOH / g of fat. This oil functions as a general-purpose emollient that works great for mature, dry and sensitive skin. It has a slight oily feel that is easily absorbed by the skin. Favorite carrier/massage oil among massage therapists. ***Saponification value = 190 mg KOH / g of fat. 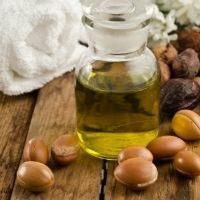 Argan is high in oleic and linoleic fatty acids which offer a longer shelf life and great skin care properties. 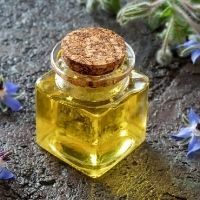 This oil is great for problem skin like eczema, psoriasis, acne, stretch marks, sunburned skin. Argan has a slight nutty odor and feels like jojoba oil, light and penetrating, non-greasy. Great for Hair! ***Saponification value = 192 mg KOH / g of fat. Derived from the large pit of an avocado. 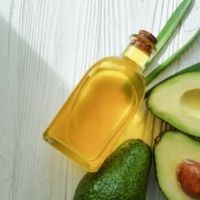 Avocado oils properties suggest its use in products where a light feel is desired. 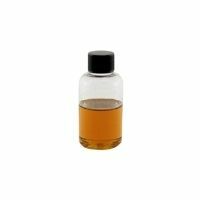 This oil has a high penetrability percentage and is great for dry skin. 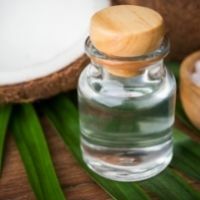 You will find babassu oil listed on many natural beauty product labels for lotions, balms, creams, body butters, lip balms, hair conditioners. 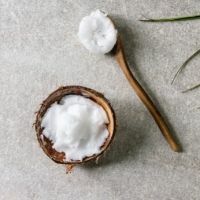 Although typically used in small quantities in natural beauty products its becoming a favorite ingredient for its ability to smooth and soften. Babassu oil is a natural emollient with restorative properties for dry and flaky skin. Meaning its also great for dandruff and irritated scalps. The feeling is soft and silky but not too greasy. 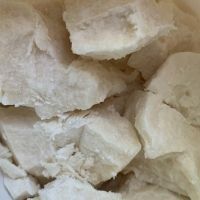 ***Saponification value - 247 mg KOH / g of fat. naturally occurring synergistic cannabinoids and terpenes. physician before starting a new dietary supplement program. A white refined beeswax that comes in a pellet/ miniature bead form. For use in soaps, lotions, and lip balms. ***Saponification value=94 mg KOH / g of fat. A natural oil obtained from the seed of the castor plant. It is unique among all fats and oils in that it is the only commercially important oil composed of approximately 90% of a hydroxy, unsaturated fatty acid-ricinoleic acid. Works great for superfatting cold process soap. A great addition to your lotion recipes. This has the most wonderful chocolate smell, it is obtained from the same bean as chocolate and cocoa. 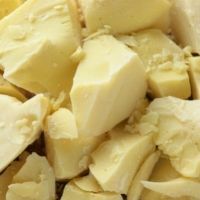 Cocoa butter has beneficial moisturizing qualities but is not easily absorbed by the skin, so you should use it with other oils that are easily absorbed like olive, sunflower, apricot kernel, etc. Limit use to about 15% of your total fats and oils. Please note that our 55 LB size may require a 2 week lead time. ***Saponification value = 194 mg KOH / g of fat. All the luxurious properties of Cocoa Butter but without the chocolate smell! Can be slightly lighter in color as well. 55 LB size may require a 2 week lead time. Our Coconut Oil is refined so you wont have the coconut smell interfering with your essential oils or fragrance oils. This oil has great lathering and moisturizing properties, however too much can be drying. Coconut oil will produce a very hard bar. Do not exceed 25% of total fats using coconut oil in soap. Melts at 76 degrees F (24 degrees C). *** Saponification value = 258 mg KOH / g of fat. GLA content of 10% and other essential fatty acids which are necessary to correct skin health. 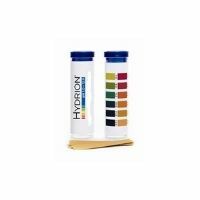 Color varies on this product from a light golden to a golden green. 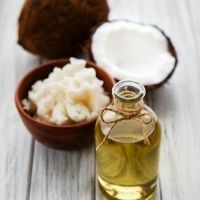 Fractionated Coconut Oil is an all-natural carrier oil that readily absorbs into the skin, making it an ideal oil for topical therapies. Its light emollient effect provides a soothing barrier, without clogging pores. It leaves skin feeling silky smooth, not greasy, like other vegetable carrier oils. It is completely soluble with all essential oils and is colorless, odorless and will not stain, making it a great carrier for body sprays, or fill our roller ball 3/4 full and then a few drops of your favorite fragrance or essential oils for a great perfume. *** Saponification value = 340 mg KOH / g of fat. 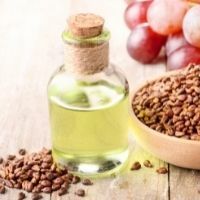 Golden Jojoba Oil is a liquid wax, as opposed to other vegetable oils which are triglycerides. This oil has a dry luxurious feel, and will provide formulations with additional cushion. When using in cold process soaps keep in mind that jojoba oil will accelerate the trace time, we recommend keeping your temperatures between 100 - 110 degrees F.
Use at a rate of approx. 2 oz per lb of soap. ***saponification value = 98 mg KOH / g of fat. Derived from the seed of the plant Cannabis sativa. 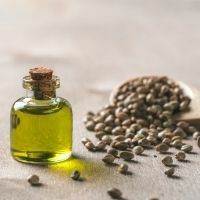 Hemp seed oil is an excellent addition to any soap recipe. It provides moisturizing properties for dry skin, is easily absorbed into the skin, and will stimulate new cell growth. Use at a rate of 20-30%. Kukui seed oil may be used on all skin types, and considered to be very beneficial for dry mature skin, eczema, sunburn, rosacea, psoriasis and acne. This oil is transparent, and will absorb quickly into the deepest skin layers. Kukui seed oil contains vitamins A,C & E, all anti-oxidants that help create & protect healthy skin. This oil is a very stable emollient that has rapid skin penetration. 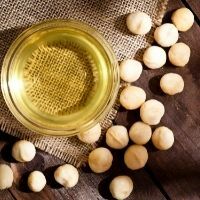 This oil can replenish, in older skin, the almitoleic acid that is found in higher levels in young skin.The appearance of our Virgin Organic Macadamia Nut Oil is a clear characteristic golden honey color with a mild characteristic odor. Considered to be an outstanding ingredient for skin care. ***Saponification value = 195 mg KOH / g of fat. Neem oil is an excellent moisturizing oil and contains various compounds that have insecticidal and medicinal properties. It is used in making shampoos, toothpaste, soaps, lotions & creams, mosquito repellants. It also contains vitamin E, other essential amino acids and some percentages of fatty acids. 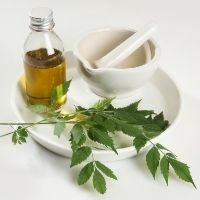 Neem oil is used for treating eczema, psoriasis, & skin allergies. 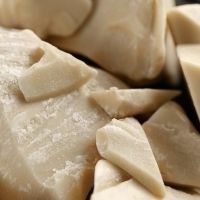 This oil contributes a lot of the same qualities as tallow, and is known as the veggie tallow. 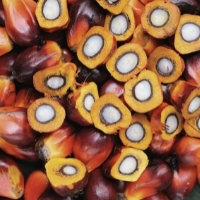 Palm Oil is a superior oil that is considered to be a luxury oil as opposed to other vegetable oils. It makes a hard bar of soap that will last a long time. Saponifies easily and is mild to the skin. ***Saponification value = 199 mg KOH / g of fat. 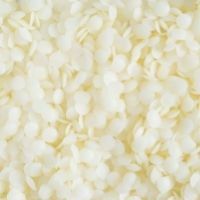 Soaps made from this oil are white in color, very hard, and will have exceptional lather. If used in excess palm kernel oil can be drying to the skin so keep your percentages between 10 and 30% and enjoy this oils moisturizing properties. ***Saponification value = 220 mg KOH / g of fat. Organic Pumpkin seed oil is cold-pressed extracted from the pumpkin seed and filtered to result in an unrefined oil with a dark orange color. It has a relatively high content of unsaturated fatty acids, antioxidants and Vitamins A, C, and Zinc. 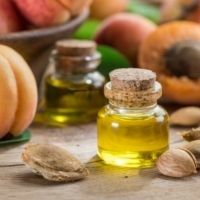 Organic Pumpkin Seed Oil is widely used for cosmetic applications. It is a popular ingredient used to enhance creams, lotions, balms, massage oils and soap due to its naturally occurring Omega-3 and Omega-6 fatty acids and Vitamins A and C.
Use between 5 - 10% in Cold Process Soap. ***Saponification value =190 mg KOH / g of fat. Organic pure olive oil gives a rich feel and helps to create a very hard bar once fully cured. You will need to be patient when using this in soap as it will take longer to cure. ***Saponification value = 189 mg KOH / g of fat. Very high in Vitamin C which is considered to be beneficial to skin cell regeneration. Thought to add moisturizing and anti- inflammatory attributes to formulations.The oil is quickly absorbed into dry tissue to help restore moisture balance and combat dryness. 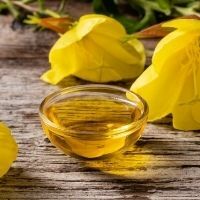 A natural moisturizer, rosehip oil can be especially effective on sensitive, allergic, and problem skin and is often added to lotions and creams. Because it is all-natural and toxin-free, it has few indications of irritation and allergic sensitivity. 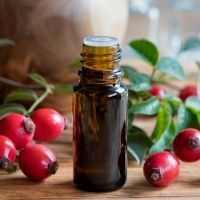 Rosehip oil can be applied directly to the skin even in concentrated forms. Usage rates are generally between 3 and 15% in your formulations. ***Saponification value = 188 mg KOH / g of fat. 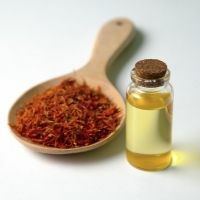 Safflower oil is growing in popularity due to its remarkable ability to resist rancidity in products. If you have not had the opportunity to try this oil, we recommend you do and promise that you wont be disappointed. 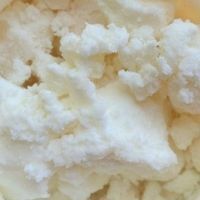 Use around 20% of your total fats and oils in soapmaking. 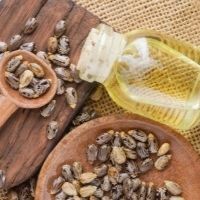 Obtained from the seeds of large sunflowers and known to be a moisturizing vegetable oil. 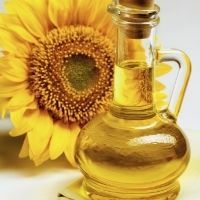 Sunflower oil contains vitamin E a natural antioxidant that resists rancidity. We do not recommend using more than 15% of your total fats and oils. 1 Gallon equals 7 LBS. ***Saponification value = 191 mg KOH / g of fat. Vitamin E is a wonderful addition to skin care products due to its remarkable antioxidant properties. My dermatologist swears by it and tells me that vitamin E has the ability to neutralize free radicals and fight enviromental damage that occurs to the skin. 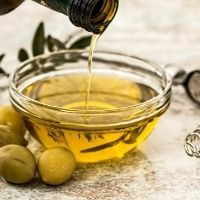 Vitamin E will help extend the shelf life of some oils that tend to be less stable. 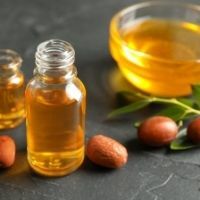 Our tests revealed that synthetic vitamin E did not help stability in oils that have minimal shelf life, but the Natural Vitamin E has prolonged the shelf life. Not to exceed 1% by weight in your formulations. Our virgin cold pressed wheat germ oil has been applied externally for numerous irritations including roughness of the skin, cracking, and chaffing. This is used frequently to prevent wrinkling. 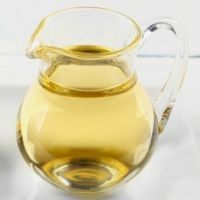 Unrefined wheat germ oil is a very sensitive oil that will degrade quickly when exposed to extremes in temperature fluctuation, oxidization, and light. Refrigeration is highly recommended. Because of its unrefined nature, this oil is darker in color and heavy in odor. Because of its anti-oxidant and regenerative properties, wheat germ oil is a wonderful ingredient to add to all your body care and cosmetic products. ***Saponification value = 187 mg KOH / g of fat. Kokum Butter comes from the root of a tree grown in India (Garcinia Indica). Kokum Butter exhibits excellent emollient properties. It melts at skin temperatures making it ideal for lip balms, bar soaps and skin lotions.. Recommended use level: Lotions & Cremes 3-5%; Lip Blams 5-100%; Bar Soaps 3-6%. Try using Kokum in place of Shea or Mango butter- you will need to re-calculate your lye in soap recipes. Ultra fine, Anhydrous Lanolin. Our lanolin is extra deodorized, has very little odor, and its light in color. Lanolin will impart remarkable moisturizing, lubricant and emollient properties into your cosmetics. 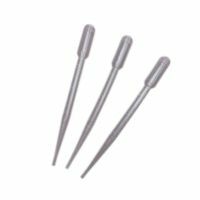 It is also useful as a stabilizer for emulsions, and suspensions. Lanolin is temperature sensitive so keep your temps at approximately 110 degrees F when adding to soap. ***Saponification value = 105 mg KOH / g of fat. Mango Butter has been obtained from the fruit seed of the Mango tree (Manifera Indica) grown in the sub-tropics. 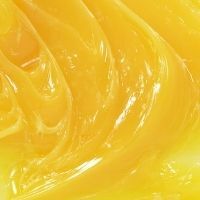 Mango Butter exhibits excellent moisturizing properties. It melts at skin temperatures making it ideal for lip balms, bar soaps and skin lotions. use 1 scoop per pound of fats in CP soap. use one scoop per pound of fats in CP soap. Not for use in lipstick, eye shadow, face powders or face paints. Wash off products only. Used to achieve a reddish- orange color. Safe to use in cold process soap, glycerin soap base, lotions, bath salts and lip balms. Used to achieve a bright orange blossom color in C.P soap. INCI: D&C Red #33 (Purple - Raspberry)Dye. Used to achieve a purple- raspberry color. Safe to use in cold process soap, glycerin soap base, lotions, bath salts, lip balms. To achieve a red apple color in your cold process soaps mix 6 parts FD&C Red #40 to 1 part D&C Red #33. INCI: Chromium Oxide Green (Moss or Army Green) Pigment. Used to achieve a moss green or army green color. Safe to use in cold process soap, glycerin soap base. Not recommended for lotions, bath salts or lip balms. INCI:Chromium Hydroxide Green (Candy Mint)Pigment. Used to achieve a medium to bright candy mint green color. Used to achieve a light to medium royal blue color. (to deepen color to a navy blue mix with cupric oxide black). Used to achieve a light to medium pink color. Used to achieve a light to medium violet purplish color. Safe to use in cold process soap, glycerin soap base. Use our food grade coconut shell activated charcoal ultra fine in your cold process soaps for color (gray to black) and for its detoxification properties. Activated charcoal is used to pull toxins from the body & skin, making it a great addition for acne prone people. Use in a favorite facial mask as well. Used to achieve an opaque white appearance (will not block out certain fixed oil colors and some vanilla base fragrance oils.) Safe to use in cold process soap, glycerin soap base. Contains mica, titanium dioxide, iron oxide. For use on face, eyes, lips, general cosmetic use. Usage rate for cold and hot process soap is between 1-2 tsp per pound of soap. Contains tin oxide, iron oxide, and mica. Safe to use on the face, eyes, and lips and general cosmetics. Contains iron oxide, and mica. Contains titanium oxide, iron oxide, and mica. Contains mica, titanium dioxide, ultramarine blue. Contains mica, titanium dioxide, colored mica. Contains titanium oxide, chromium green oxide, and mica. Safe to use on the face, eyes, and general cosmetics. Not for use on lips. Safe to use on the face, eyes, and lips. Dust on the top of your soap with our powder duster to give it a beautiful shimmer. 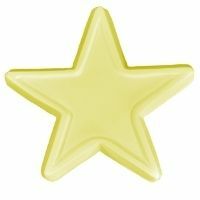 Use this to create a distinct pencil line in cold process soap. In a clear base this powder produces a beautiful grey shimmer, and in an opaque bases the hue is a light slate grey - perfect for creating a natural stone color in cold process soap. Safe to use on eyes, lips and face. contains mica, titanium dioxide, iron oxide, Manganese Violet, tin oxide. 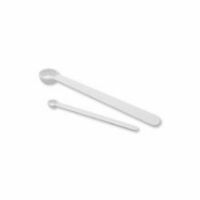 Perfect for making small soaps, bath bombs or lotion bars. Will make five 1.75 ounce bars that measure 2.25 inches x 0.75 inches. This beautiful blooming rose is elegant and artistic. 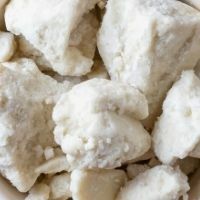 Use it to make bath bombs, soaps, and lotion bars. 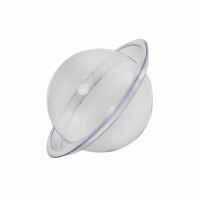 These come in a 1.75 inches diameter or a 2.75 inch diameter. They have a top and a bottom and work best using our Basic Bath Fizzy Recipe located on our blog. 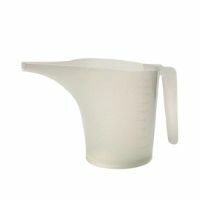 Holds 64 ounces of liquid soap. Measures 15 inches x 3 1/2 inches wide x 3 3/4 inches deep (inside measurements). The long side of the soap mold unscrews. You will need to line this mold with freezer paper, wax paper, or parchment paper. A simple solid pine soap dish that is made for the homemade soap industry. The Solid pine block is sliced in opposing directions in each side of the block to form holes in the product for water to drain through the piece. The sides are beveled on the top and bottom to make it easier to grab the soap from the dish. The approximate size of the pine soap dish is 4.25\\\" x 2.5\\\" x 5/8\\\" thick. Super cute mold for Valentines products. Make lotion bars, bath fizzies, melt & pour soap. 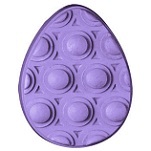 This mold is perfect for making fun bath bombs, lotion bars or custom soaps using our melt and pour soap base. Bar Depth: 1 inch Bar Length: 3 inches, Bar Width 3 inches.